Trendhuntertv has created this interesting report which highlights 20 top trends that are emerging for 2010. Having used X-cart at the shopping cart solution at Gourmet Shopper, I was interested to see that the X-cart developers have released a new AJAX style shopping cart solution called Ecwid. Here’s an example shopping cart that I have been testing, which as well as working inside WordPress. The Cart tool is reasonably simple to setup and configue, and whilst there are some limitations, it promises to be an excellent option for shops wanting to syndicate their content across their growing range of interaction points. 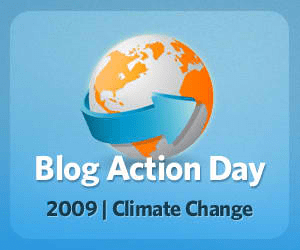 October 15th is Blog Action Day, where 10,000 bloggers around the world are writing about climate change. Social Media certainly provides a platform to harness the “collective” due to the global accessibility of internet and the ease of content publication which has given consumers a voice. Cause marketing is certainly one of the early adopters of doing this, and I expect to see a continued growth in corporate sponsorship of these initiatives, demonstrating the merging of social media engagement and PR. Whilst there is no shortage of commentary providing information and material about how individuals can reduce their carbon footprint, I thought I’d use this post to comment on one of the outstanding features of this campaign – the Action page. Blog Action Day’s Action page is an excellent example of making it easy for your audience to take action. Follow the twitter stream from #BAD09 here. So far the results are quite amazing where Blog Action Day has been the top Google blog search today. The Official Google Blog provided a green tour of their campus, Gadling is featuring green travel posts all day, and Grist has a great round-up of some of the best posts thus far. Nonprofits including Oxfam, Greenpeace , 1Sky and TckTckTck have all put up new posts. Mainstream media is also getting involved, for example CNN has written this article about Blog Action Day. One of the hottest news for social communication this month was the beta launch of Google Wave. Whilst there is no shortage of commentaries on the product, such as this one from PC world, this 2 min video from Epipheo Studios does a great job of explaining the background need for a new way to collaborate, and the major features that Google Wave seeks to address. Here’s a screenshot of Google Wave, highlighting how Wave extends the inbox to incorporate discussion, attachments, and lists the contributors. Collaboration efficiency is at the heart of Knowledge Management, and it’s exciting that Google Wave will be run as an “open source” project becoming a valuable building block for a new range of collaboration tools. Having experienced Google Wave, I can say that it definately delivers on providing efficiences in collaboration, but does remind me of the hope I felt when Lotus Notes came out. Editing the content nuggets from the things where the content value has a very short shelf-life is one of the key challenges for community administrators. Google have published one of their presentations on Google Wave from May 2009 (1 hour, 20 mins in length), which covers the product in more detail. Incidentally, Google Wave was developed out of the Google offices in Sydney Australia!